IMG_1005, originally uploaded by All Things Mimi. 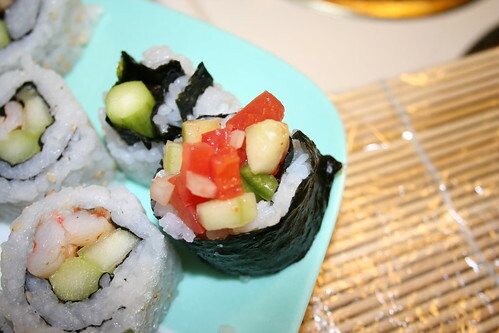 For this roll, I used shrimp, cucumber and asparagus, then topped each individual piece with a little pico de gallo. This one was really yummie- but next time I will add some extra heat. My first ever Sushi Roll! !